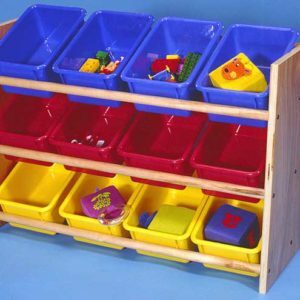 open storage compartments with plenty of space for classroom materials. Rounded corners provide safety for children. Just the right height for Toddlers.